The moral dimensions of how we conduct business affect all of our lives in ways big and small, from the prevention of environmental devastation to the policing of unfair trading practices, from arguments over minimum wage rates to those over how government contracts are handed out. 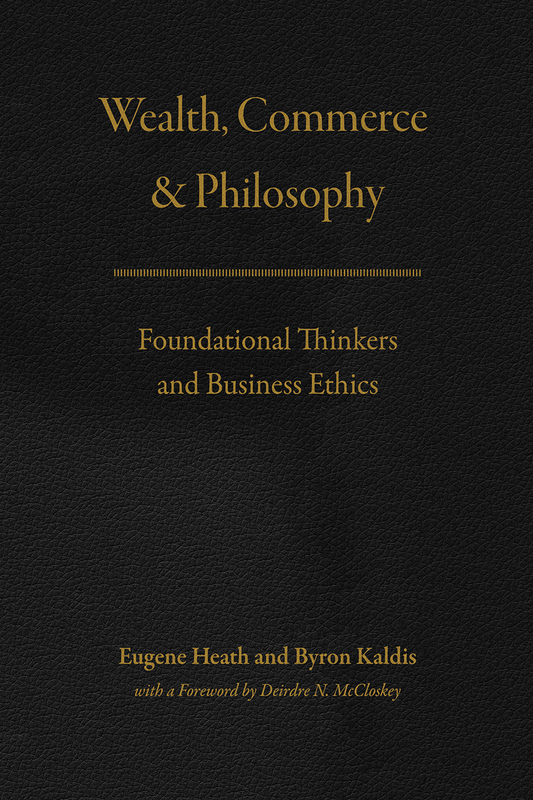 Yet for as deep and complex a field as business ethics is, it has remained relatively isolated from the larger, global history of moral philosophy. This book aims to bridge that gap, reaching deep into the past and traveling the globe to reinvigorate and deepen the basis of business ethics. Spanning the history of western philosophy as well as looking toward classical Chinese thought and medieval Islamic philosophy, this volume provides business ethicists a unified source of clear, accurate, and compelling accounts of how the ideas of foundational thinkers—from Aristotle to Friedrich Hayek to Amartya Sen—relate to wealth, commerce, and markets. The essays illuminate perspectives that have often been ignored or forgotten, informing discussion in fresh and often unexpected ways. In doing so, the authors not only throw into relief common misunderstandings and misappropriations often endemic to business ethics but also set forth rich moments of contention as well as novel ways of approaching complex ethical problems. Ultimately, this volume provides a bedrock of moral thought that will move business ethics beyond the ever-changing opinions of headline-driven debate. 2 Aristotle and Business: Friend or Foe? 16 Karl Marx on History, Capitalism, and . . . Business Ethics?